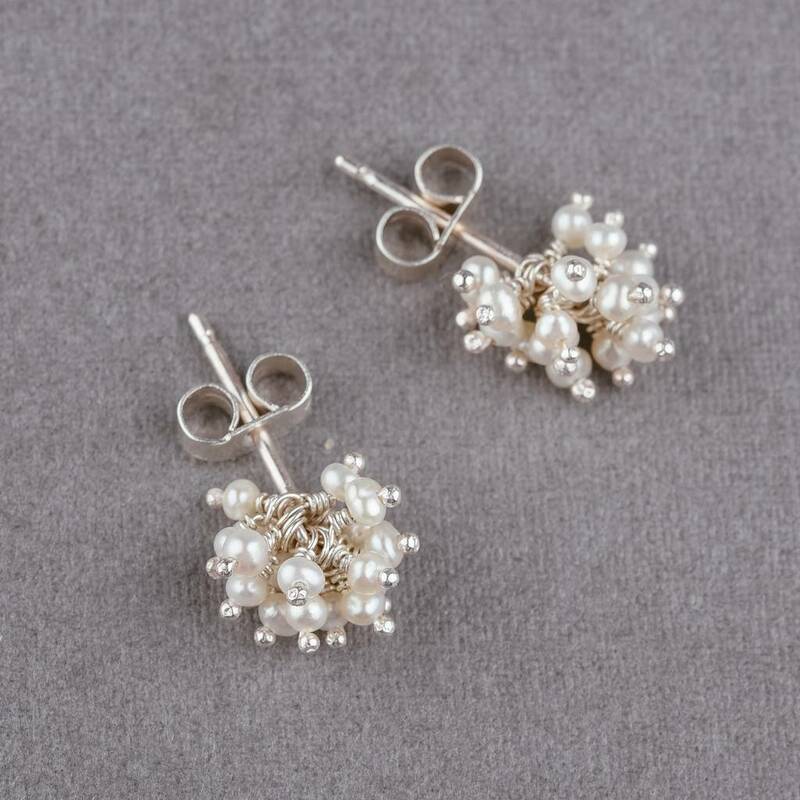 Little pearl cluster stud earrings. 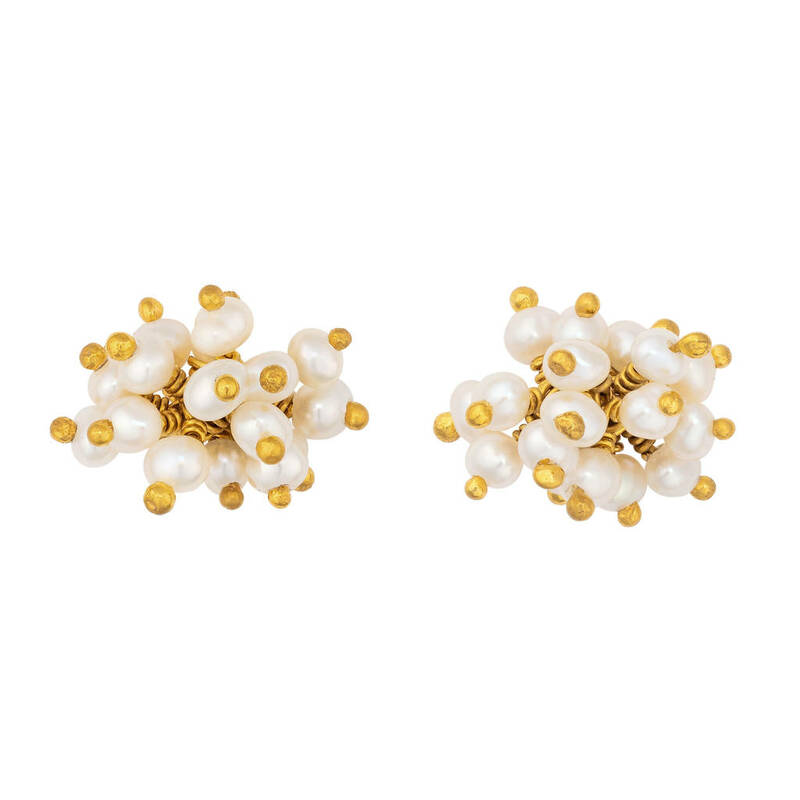 These studs feature a pompom shaped cluster of tiny seed pearls that sit close to the ear. 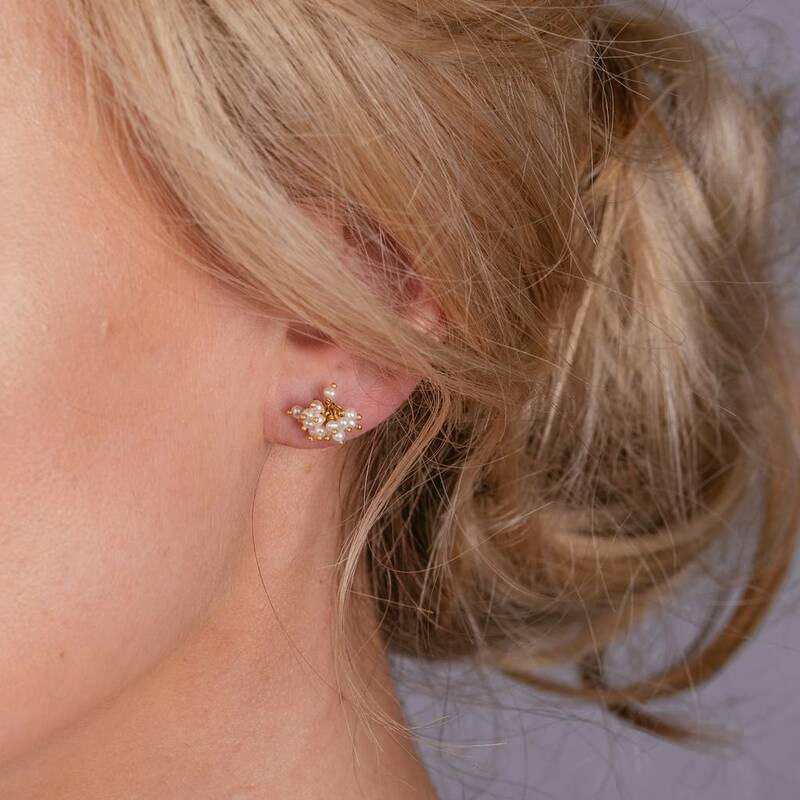 A perfect earring for everyday to add an easy feminine touch. These would also work as a bridal earrings if you're loking for a subtle accessory to finish your look. 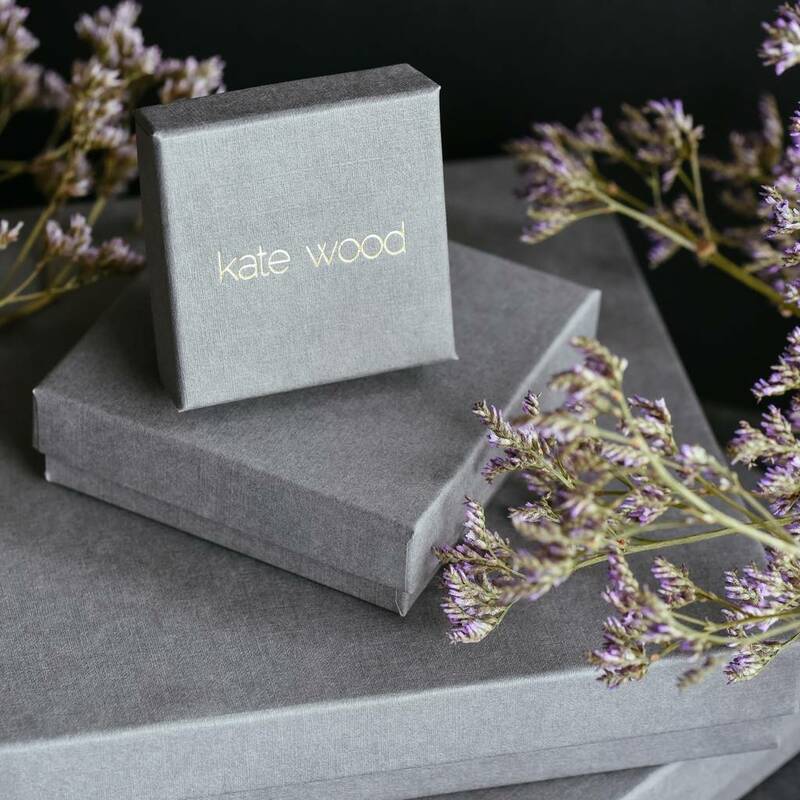 Available in oxidised silver, silver or gold vermeil. 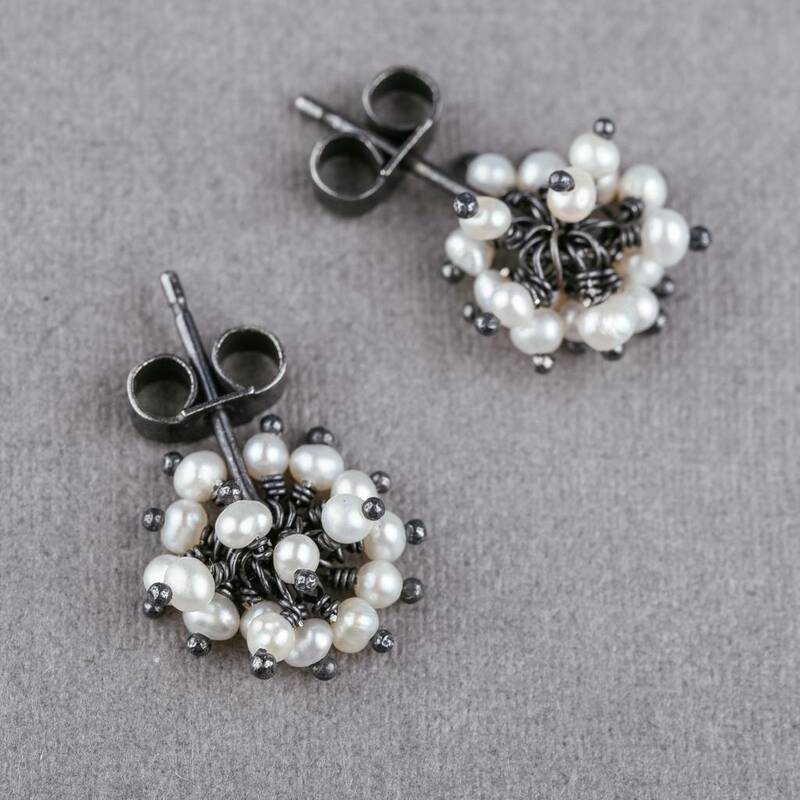 Handmade from freshwater pearls and sterling silver, with an optional oxidised (blackened) or gold-plated finish. 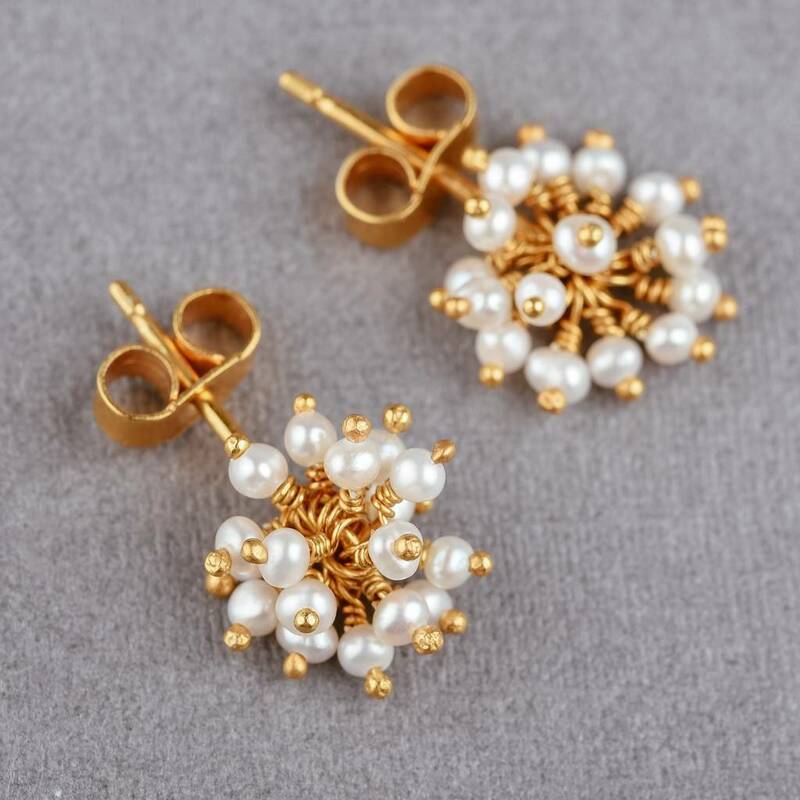 1cm wide x 1cm high.